The BiFeO3(BFO) and Bi0.95Nd0.05Fe1-xAlxO3 (x = 0, 0.03, 0.05, 0.075, 0.1) powders were prepared at 200 °C for 24 h by hydrothermal method. 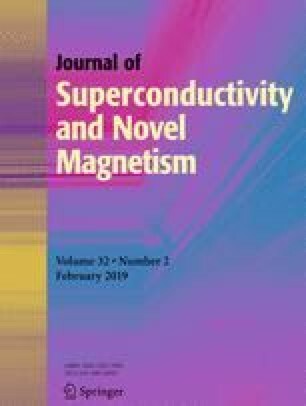 The effects of Al doping content on the structure, morphology, magnetic, and photocatalytic properties were studied. X-ray diffraction (XRD) and Fourier transform infrared spectrometer (FTIR) demonstrated the compounds are distorted rhombohedral perovskite structure without any other heterogeneity and structural transition. Field emission scanning electron microscope (FESEM) reflected surface of compounds is a dense, agglomerated sphere. As the concentration of Al3+ increases, a small part of the spherical crystallites eventually becomes cauliflower shape. Energy-dispersive X-ray (EDS) showed the Bi0.95Nd0.05Fe0.95Al0.05O3 sample mainly consists of five elements (Bi, Fe, O, Nd, Al) and atom radio matched well with the formula. Vibrating sample magnetometer (VSM) integrated in a physical property measurement system (PPMS-9) illustrated introducing Nd3+ ions into BFO will enhance its magnetism at room temperature. However, with the increase of non-magnetic ion Al3+ concentration in Bi0.95Nd0.05Fe1-xAlxO3 (x = 0, 0.03, 0.05, 0.075, 0.1), the network structure of Fe-O-Fe was destroyed, which led to the decrease of its net magnetization, so that the hysteresis loop shows paramagnetism. The photocatalytic performance of BFO increased initially and decreased afterwards as Al3+ concentration increased, and the best catalytic performance was achieved at x = 0.05. This study is supported by the Shanghai Collaborative Innovation Fund (XTCX2017-2), Shanghai Science and Technology Achievement Transformation Association, Shanghai Education Development Foundation and Shanghai Science and Technology Achievement Transformation Foundation (LM201678, LM201772), and Minhang District Science and Technology Project (2015MH172).